7 March 2017. 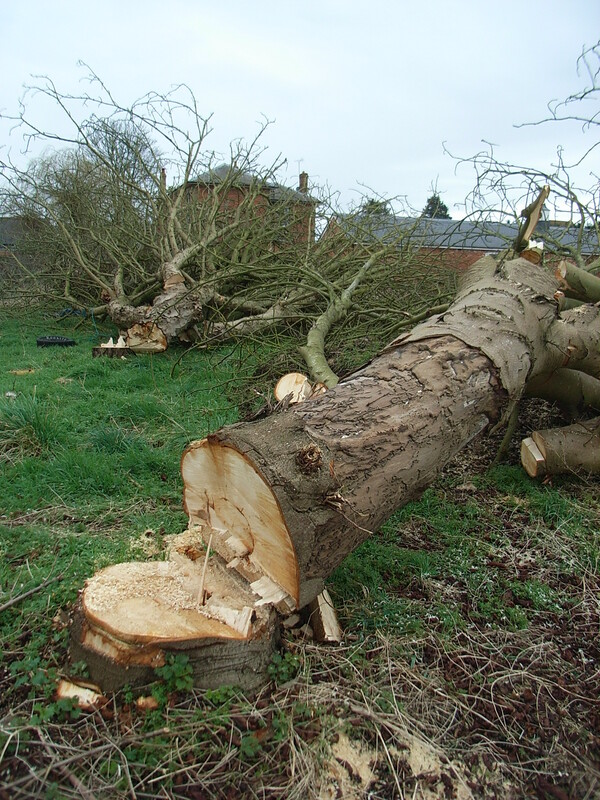 Places for People are facing serious questions over the way dozens of mature trees were cut down in Milton Keynes today without warning, and without planning permission. Budding horse chestnuts – axed! Remarkably, this was just hours after their spokesmen had assured residents at a parish council meeting that they would conduct a proper tree survey as part of upcoming plans for a new housing development. The site, next to Broughton Manor School, has had outline planning approval for some years which is due to expire. PFP are looking to renew it and to file detailed plans thereafter. 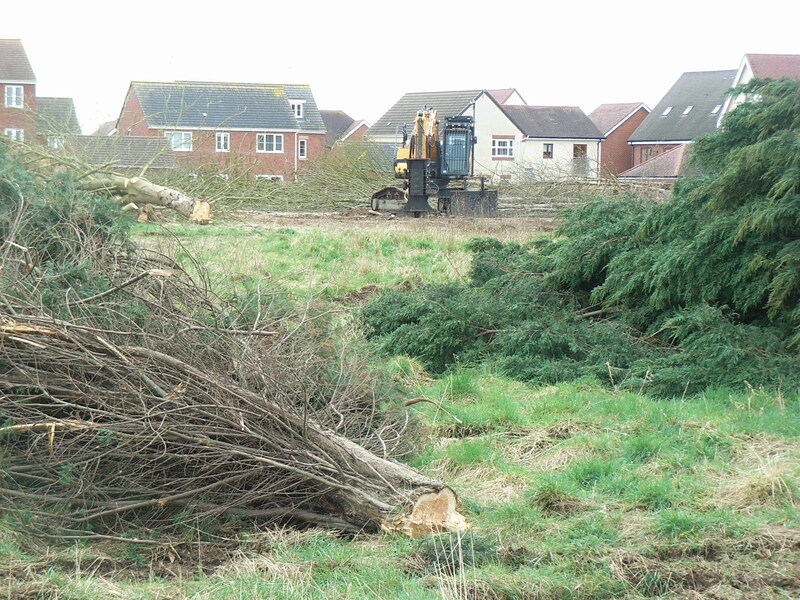 Cutting down perfectly good trees that could have added to the quality of life for new and existing residents, as well as wildlife, is not only a travesty of planning but also goes against the original ethos of Milton Keynes – the City of Trees. Who gave the orders to chop them down and why? Places for People have got some explaining to do. This entry was posted in corporate greed, Milton Keynes, trees at risk in Milton Keynes, urban planning, wildlife at risk in MK and tagged MK City of Trees, MK Council, Open green space, trees at risk in Milton Keynes, Urban Planning in Milton Keynes, wildlife in Milton Keynes on March 7, 2017 by xplain. Milton Keynes is no longer a city of trees, or shrubs for that matter. It has been completely devastated by bad landscape trimming and maintenance. Several estates have shrubs completely dead and bare ground exposed. Pennyland, Leopard Drive is one such road. No replanting has been done for over 5 years now. Who is going to replant these bare areas? The landscaping third party outsourced company SERCO have been totally wiping out the plants and trees here because it is less maintenance for them.